DrinkWire is Liquor.com’s showcase for the best articles, recipes and reviews from the web’s top writers and bloggers. 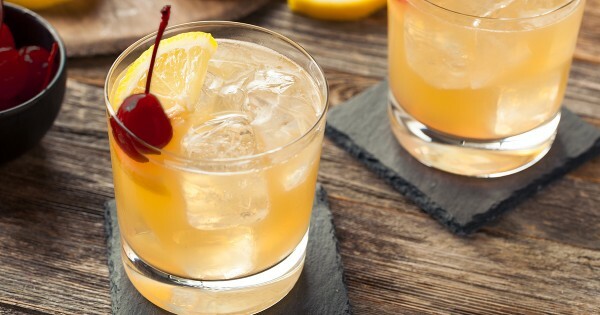 In this post, Karla Cabrera offers a whiskey sour twist. In 1872 Elliot Staub, a former ship steward, “invented” the whiskey sour in a bar in Iquique (then part of Peru). The whiskey sour is a mixed drink containing whiskey, lemon juice, sugar, and a dash of egg white. Let's make it a bit more interesting and add Quinoa Whiskey. Pour the egg white into a cocktail shaker. Add ice and shake briefly to aerate the whites. Add the Corsair Quinoa Whiskey, lemon juice, and simple syrup and fill with ice. Shake, and strain into a rocks glass filled with fresh ice. If you like garnish with a cherry and/or lemon wedge. Lifestyle blogger, business owner, animal lover, and mother of two. I bring a little bit of my sassy Peruvian personality to my blog. I make life easy for everyone with quick recipes, relationship advice, how to have fun, reviewing great places to visit on a budget, products worth buying, and other crazy internet stuff.